January 1st may have passed, but there’s another chance to ring in the new year come February. Chinese New Year, also known as Spring Festival, began as a traditional holiday honoring Chinese deities and ancestors. Since then, the holiday has become a celebration of family, prosperity, and good fortune. This year, Chinese New Year falls on February 16, ushering in the Year of the Dog. 1. Five Happiness – Serving locals for over 30 years, Five Happiness is a must for anyone looking for great Chinese food. The Chef’s Specials include sizzling jumbo shrimp, stuffed Chinese eggplant, and salt & pepper fried calamari. Don’t wait–head to South Carrollton today for your Chinese food fix. 3605 S. Carrollton Ave.
2. China Doll Restaurant – Located in Harvey, it’s worth the drive across the bridge for this restaurant. China Doll Specialties include Moo Shu Pork, Barbeque Shrimp, and crab fingers Cantonese. Don’t forget to order an oriental exotic drink while you’re there. 830 Manhattan Blvd. 3. Hot Wok – You’ll find fried chicken wings and french fries on the menu at Hot Wok among some traditional Chinese favorites. Order the Chef’s Special Hot Wok shrimp with a side of House Special fried rice before coming back for seconds–the options here are endless. 901 Veterans Memorial Blvd. 4. Chinese Tea Garden – Specialties on the Chinese tea Garden Menu include roast duck, soft shell crab, and lobster tail. Dine like a king while enjoying some of NOLA’s best seafood, Chinese-style. 5336 Elysian Fields Ave.
5. China Rose – The items on China Rose’s menu may be a bit eccentric, but the food is good none-the-less. If you’re an adventurous eater, this restaurant is the place for you. Don’t be afraid–classic Chinese food staples are still available to order. 3501 N Arnoult Rd. 6. 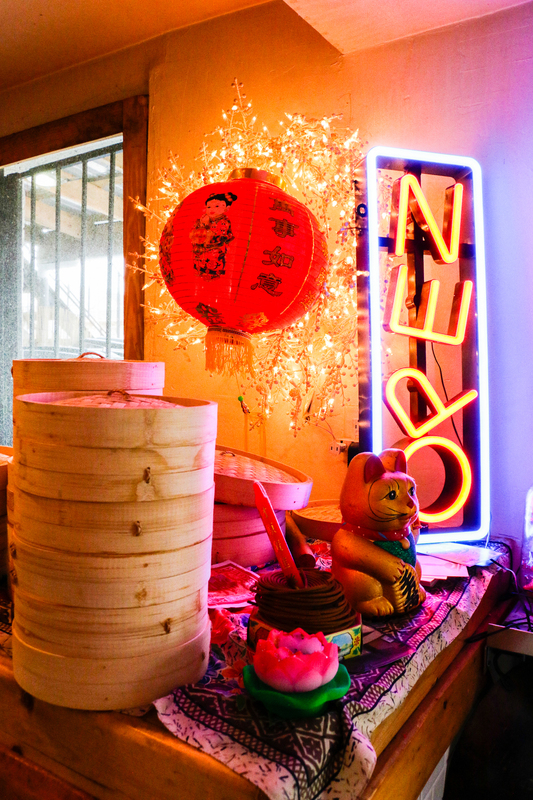 Red’s Chinese – Located in the Bywater, Red’s Chinese offers a simpler yet just-as-delicious menu. Order favorites like grandma’s pickles or Chinese donuts while chowing down on some dirty rice. 3048 St. Claude Ave.